Space Vision music is a psychedelic psytrance brazilian full on stile produced by talented Gustavo Jeker aka dj Tato . 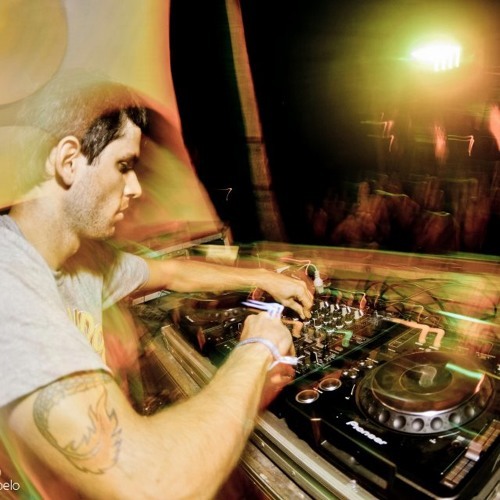 He has started in the psychedelic trance scene around 2002 in the capital of Brazil , Brasilia . There he went to the best underground family parties , was a new scene in brazil was the beginning of all blast scene that was to come. After been in a real psytrance party in brasilia , tato went to one of the best festival that happened in brazilian ground, "Trancendence 2002" , was a blast , golden times for brazilian scene. That festival chaged my mind , after that i was totally changed, wasn't the person i was before , with one goal in mind! Try to make that felling i had on that festival! I start playing dj seth in small friends party , after that i was totally in the psytrance music , that was around end of 2002 . In 2003 i started to produce my own music . On that time i meet dj Echoes from Minimal Kriminal , he installed tatos first professional software that his still use until today , LOGIC ! After that was a journey into music connection . After each music created he could see that his work was getting more like he want into perfect beat and melodies. Tato build his professional studio around 2009 that still use until today . After that, he started to get around with his ear and listen to the music inside a proper place , amazing his music got more rich and better mixed. Space Vision started to release lots of music in well respect psytrance labels, like one digital Ep called "Multiverse Theory" on Antu records, 2 more kila digital Eps called "Analog Mantras" and "On the time" on Grasshopper records with a track vs Xpiral reaching top 6 in beatport psytrance downloads! One track na digital compilation compiled by e well respected dj Ekanta on Vagalume records , and Space Vision Debut Album will be out on september 2012 at Grasshhopper in a collaboration with big friend label manager Dj Hatta!Space Vision played in the best festivals in brazil , like Universo Paralello , Samsara Festiva , 303 Festival , Respect Festival , also played at Monte Mapu chile, and some lots more to come, the world will be not enough ! Namaste and long life to Psytrance Music.